Pray fervently for what you need for God answers your prayers — maybe not as you want but as you need. 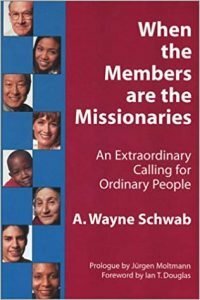 [A way to live your mission in your church based on a reading from the Revised Common Lectionary for The Tenth Sunday after Pentecost, 7/24/16. The disciples ask Jesus to teach them how to pray. He answers with “The Lord’s Prayer” (without the final line of praise). As if he sensed they might not be sure prayer works, Jesus tells a parable. A man asks a friend for bread to feed a midnight guest. The friend says he has retired for the night and refuses to help. The man persists, and finally his friend gets up to help. Jesus goes on to encourage to keep asking God for help for God will help — doors will be opened. A father gives what his child asks for, not something harmful. So will God, the Father, give the Holy Spirit when asked.